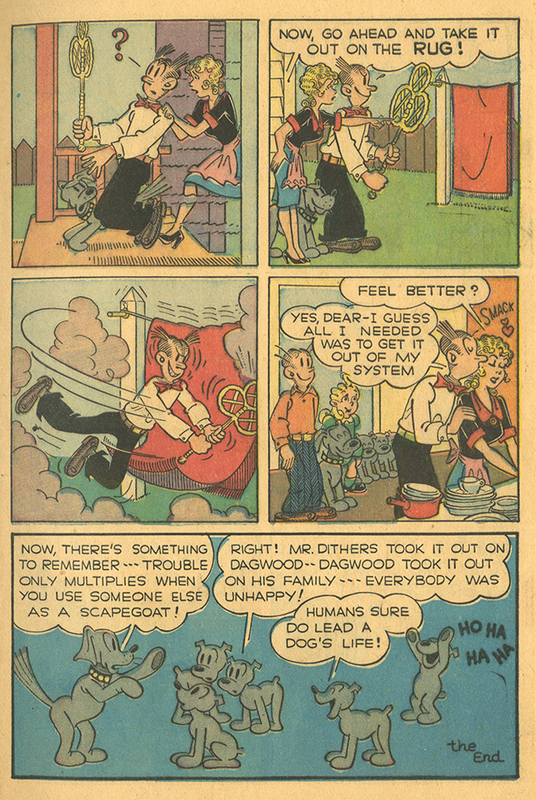 Educational comic book promoting sound emotional health, particularly within families. 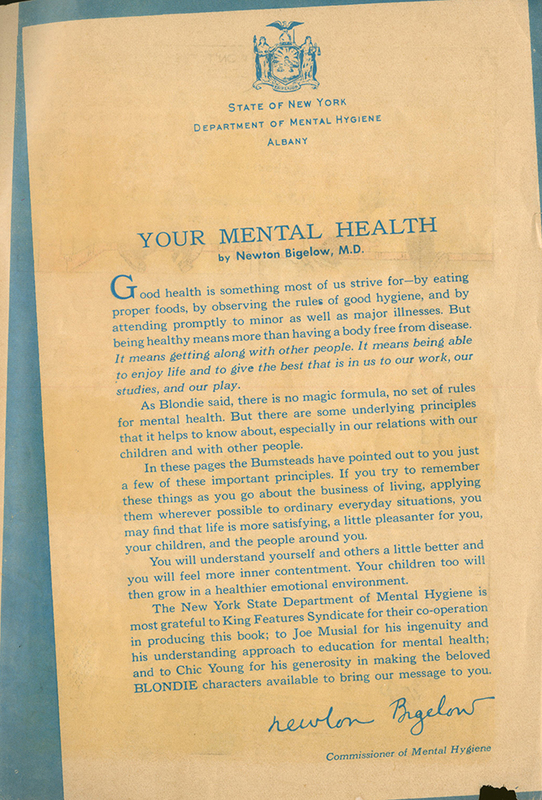 A letter written by Newton Bigelow, M.D., Commissioner of Mental Hygiene for the State of New York is printed inside the back cover. "As Blondie said, there is no magic formula, no set of rules for mental health. 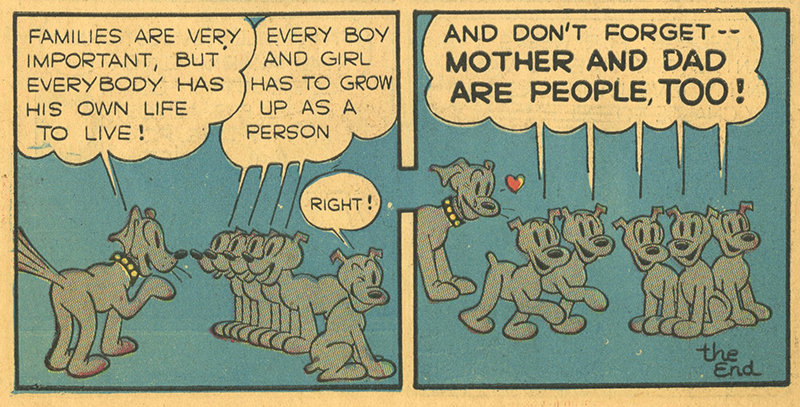 BUt there are some underlying principles that it helps to know about, especially in our relations with our children and with other people....applying them wherever possible to ordinary everyday situations, you may find that life is more satisfying, a little pleasanter for you, your children and the people around you. You will understand yourself and others a little better and you will feel more inner contentment." 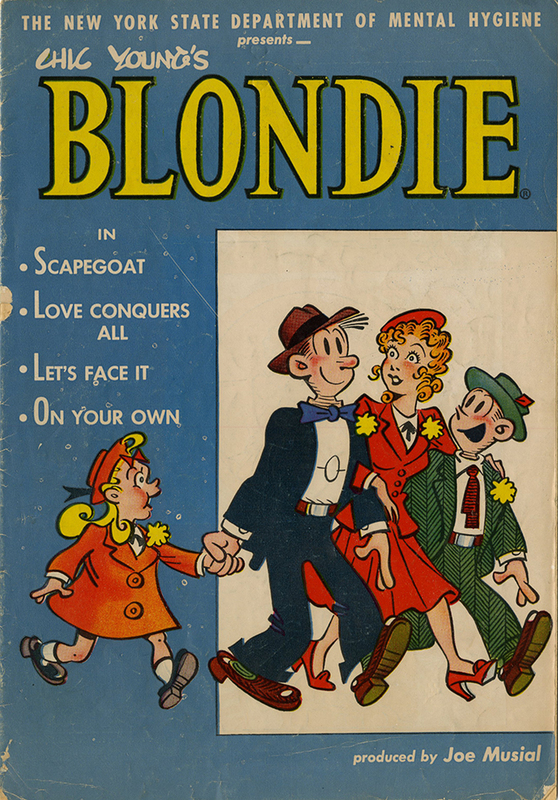 From front cover "The New York State Deptartment of Mental Hygiene presents Chic Young's Blondie in Scapegoat; Love Conquers All; Let's Face it; On Your Own. 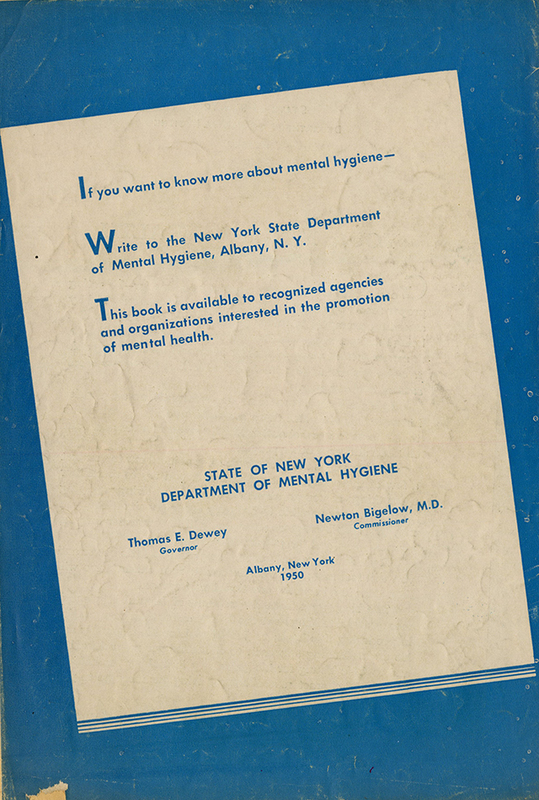 Produced by Joe Musial"
“New York State Department of Mental Hygiene presents Chic Young’s Blondie,” Social Welfare History Image Portal, accessed April 26, 2019, https://images.socialwelfare.library.vcu.edu/items/show/349.